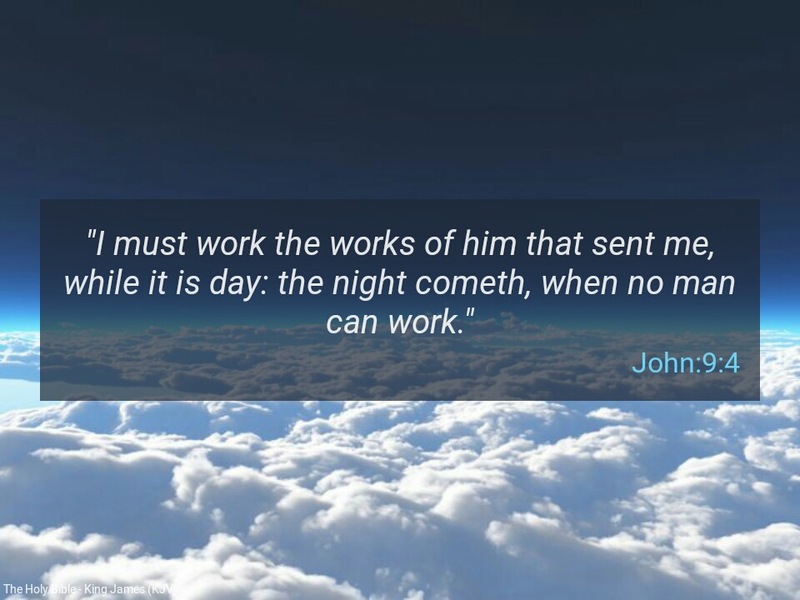 Word for Today: Whose works are you doing? If I may ask you, whose works are you doing? I have heard people talk of ‘secular’ and ‘non secular’ work. I personally, do NOT know the the difference. What was the secular work of JESUS when he was on earth? There are people who will be complaining that they don’t have work, yet when they see the opportunity to work, they are nonchalant about it. If you are doing God’s work in a nonchalant manner, is that secular or non secular? Please, wake up, the entrance of the word God gives light (Psalm 119:130). “I love them that love me; and those that seek me early shall find me”(Proverbs 8:17). Stay blessed by the grace in the Word. Dear Father, please give us the grace to value and do your works above everything else in Jesus mighty name. Amen. Previous Previous post: Word for Today: Quench Not the Spirit’s Fire. Next Next post: Word for Today: The words we speak are spirit-life or death.